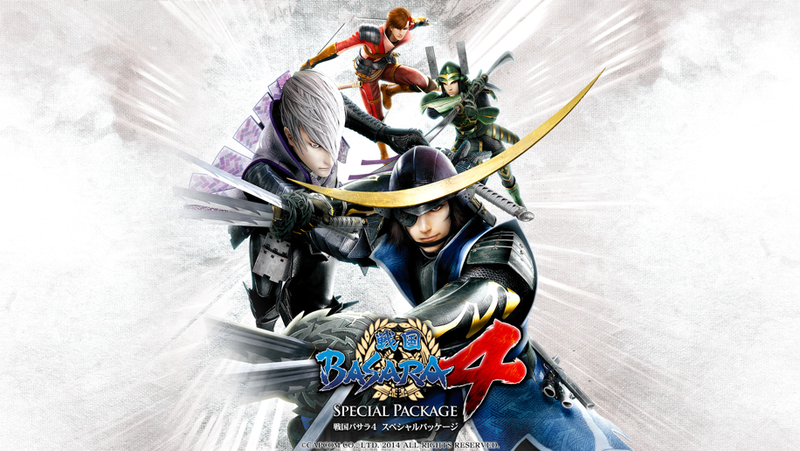 The biggest Sengoku Basara news story this week has definitely been the release of the limited 'Special Package' edition with its attractive price point, bonus DVD and bundled DLC codes. KobaP tweeted a picture of an unboxed version showing all of the contents. People who already have the game can still enjoy a few of the benefits, such as the free promotional wallpapers and the video tributes from Aoki Shiki (Maou) and Edosan" & Fumiichi. There's also a little competition; if you follow the @BASARA_CAPCOM account on Twitter and retweet this message, you'll be entered into a draw to win a signed Sengoku Basara 4 promotional poster or some Ichiban Kuji goodies. Please be aware that it's necessary to have access to a Japanese mailing address to claim the prize. 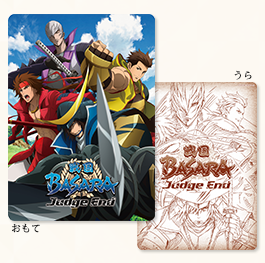 A set of eight Mame Sengoku Basara Trading Rubber Magnets is due for release in November 2014 priced at ¥5,000 for a box or ¥500 per individual magnet. An Amazon listing has appeared for a new audio CD: Sengoku Basara Magazine CD: Showgeki Basara Talk! Vol. 3: Ieyasu & Mitsunari No Maki Special-ban. This is the third disc based on the talk CDs packaged with the magazine and it collects the two shows presented by Ookawa Tooru (Tokugawa Ieyasu) and Seki Tomokazu (Ishida Mitsunari). As usual there's some bonus content for the standalone release such as a guest appearance by Nakamura Yuuichi (Shima Sakon) and an additional drama track. The themes for the three 'Basara Challenge' segments are 'Sentai Hero' from Sengoku Basara Magazine vol. 5, 'Children's Telephone Consultation Room', which is presumably from the as-yet unreleased sixth issue, and 'Tennis', a brand new challenge. If the second one sounds strange it's because it's a parody of a real Japanese radio show called Kodomo Denwa Soudanshitsu where children call in with questions for adults to answer on a variety of topics. The new CD will be released on 27th September 2014 priced at ¥2,700. The artwork used on Amazon is a placeholder so there will probably be a brand new illustration produced for the final version to match the earlier volumes. Fans of Sumeragi's cute super-deformed spin-off series can finally pick up the first volume of Mame Sengoku Basara 4 on 27th September 2014 to see the Sengoku Basara 4 cast joining the Mame Sengoku Basara world. So far it's only been listed in a few reliable Japanese stores such as MangaOh; expect it to appear elsewhere in the next few days. The formal announcement would usually coincide with the release of this month's Dengeki Maoh magazine tomorrow. Sumeragi has tweeted a preview of tomorrow's chapter of the Mame Sengoku Basara 4 manga if you're curious about how the designs for the new characters look. The current round of Capcom's Summer Sale on the Japanese PlayStation Store has added the PlayStation 2 Sengoku Basara titles to the list, so if you happen to have some extra PSN credit and don't want the Sengoku Basara HD Collection for some reason, you can grab the old games very cheaply indeed. I already described the bus a couple of days ago, so I guess all that's left is to post the new preview picture showing how it will look when it's in service! It's been announced that seiyuu Nakai Kazuya (Date Masamune) will appear as a special guest on the exclusive episode of Hoshi Souichirou and Seki Tomokazu's 'Sengoku Basara: Judge End' Radio which comes with the first pressing of the Sengoku Basara: Judge End I home video release. Fans are invited to submit messages for Nakai by email before Wednesday next week. The 'Giga Collection' clutch bag and canvas wallets are still a long way off but Enter-sis Factory have begun promoting them on Facebook with a preview picture of the detail on the metal buttons which will decorate both items. They look a lot like the Giga Basara stamp in Sengoku Basara 4, and I think they're very attractive even as unfinished prototypes. Two more upcoming items appeared on the official website today for release at the start of August 2014. A shitajiki (pencil board) costing ¥400. A collection of coasters costing ¥300 each. The 'urgent' Butai Sengoku Basara news broadcast took place this afternoon. I haven't had a chance to watch the hour-long broadcast myself yet, but bad news travels quickly and it seems that the show has announced that four of the most popular actors from the series will be 'graduating' after Butai Sengoku Basara 4 at the end of this year. This is a real blow for the stage play series as Nakamura Seijirou (Ishida Mitsunari), Hirose Yuusuke (Tokugawa Ieyasu), Yoshida Tomokazu (Katakura Kojuurou) and Murata Youjirou (Sarutobi Sasuke) have all played their characters every single time they've appeared. Yoshida and Murata in particular have been with the stage plays ever since they first began. Given the trouble that the staff have had finding a replacement for Kubota Yuuki (Date Masamune) and Hosogai Kei (Sanada Yukimura) ever since they left, I feel quite uneasy about the future of Butai Sengoku Basara. To end on a happier note, here's the preview gallery for the fourth episode of Sengoku Basara: Judge End which airs tomorrow. It looks as though there's going to be a lot of interesting content! In addition, Capcom's official Sengoku Basara Twitter account has drawn attention to today's image from the online Basara-ya shop in Sengoku Basara 4. It has a teaser picture of Kenshin and Kasuga together from the new anime as well as a birthday message for Matsu. Oh wow, I... really wasn't expecting to see more Kenshin and Kasuga stuff! Not so soon anyway @w@ This is good, very good!! Now I wonder, if the twitter is just referring to the series or... something else, given the mention of the Basara-ya shop...~ DLC Matsu and Uesugi clan perhaps...? Ah, a person can dream..
To be honest I'd heard some kinda bad things about the first Sengoku Basara's gameplay, and like Devil Kings was actually an improvement in that department in stark contrast to all the other changes, so perhaps picking up 2+2 Heroes wouldn't be such a bad idea. 10 USD for them both vs. roughly 30-50 USD depending on where I'd buy the HD collection. Worth looking into I think. I forgot that some people might have Devil Kings already; that makes sense. I keep mentioning sales because I'm guessing some people bought Japanese or Hong Kong PSN credit for the game's DLC and have a little leftover on their accounts, but if you don't need the first game or the BSR48 silliness then 2x ¥500 is a cheap way to fill the gaps in a collection!